Horace Silver - Live 1964. What is this? I don't recall see this every on CD. 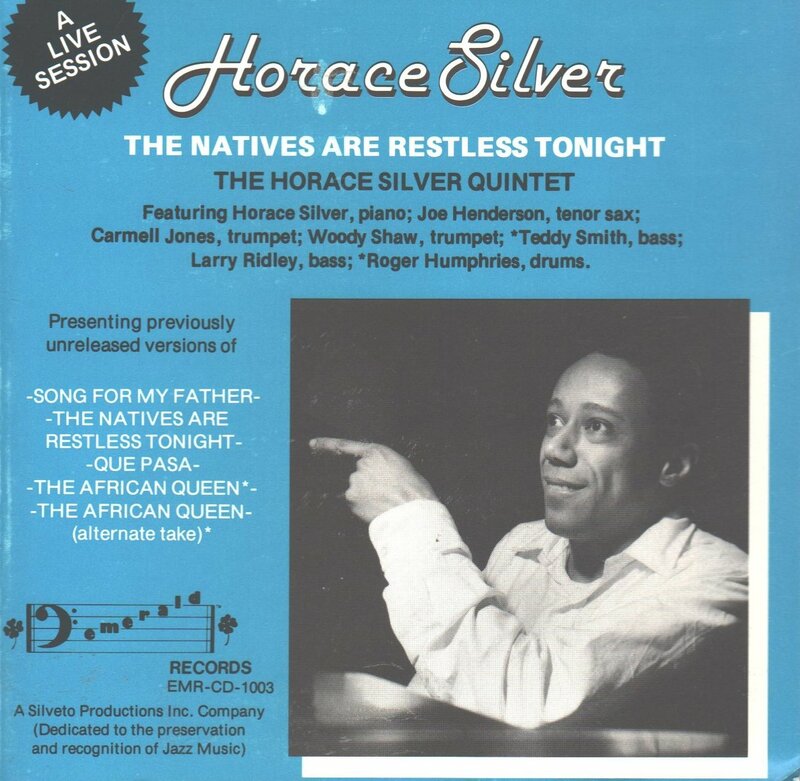 Horace Silver released that himself in the 1980s on LP. I bought a copy from him in between sets and he autographed it. 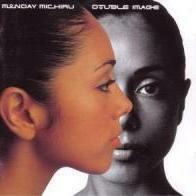 I do not believe it has been released on CD. Sound quality is good. Recorded at the Cork and Bib on Long Island by William Glaser. While you are at it, the Silveto release Spiritualizing the Senses (with Ralph Moore and Eddie Harris) is quite good as well--probably his best post-Blue Note recording. And if I recall, little or none of his goofy lyrics. (YMMV). On the live set I remember when I stumbled across it. Nice to hear that band on the older material. He was very defensive about his lyrics. When I did a phone interview with him, an awkwardly worded question about them got him going! I'm wanting to say that the Emerald LP material made it to CD on some bootleg label, but I'm not really sure about that. Or maybe it's that this one was later released on some other label? Either way, the Silveto/Emerald catalog should be of interest to any serious Silver collector, not just as music, but as an expression of Horace's philosophy self-reliance, not just spiritually, but materially as well. Philosophical/lyrical reservations aside, the music is good, and the players are top-shelf all the way. Plenty of unplugged Eddie Harris! Spiritualizing the Senses is an all instrumental album. There's another signed one on eBay now for $75. What made me chuckle is the sales copy the seller wrote. As I recall, "Live 64" was a vinyl only release. "The Natives Are RestlessTonight" CD first came out on Emerald, as pictured, but later showed up under the title "Re-Entry" on 32Jazz. Both of these are, in my opinion, essential for any Horace fan. "Natives" contains broadcast material from Alan Grant, in stereo. Stereojack is right! A look into the Lord disco confirms this. Hi Jack! Haven't seen you in a while. Nice to see you back! 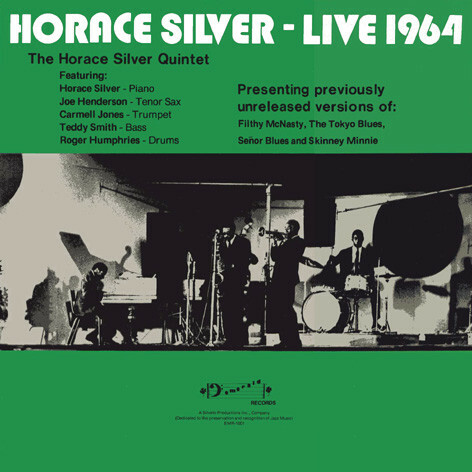 What I sure wish would surface is some live Horace Silver from after 1965. Were there any live gigs with the Tyrone/Woody front line? 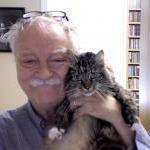 Or did Tolliver play any live gigs with Horace? I saw the Silver quintet in 1969 with the Brecker brothers and Billy Cobham, but forgot to take my tape recorder into Ronnie Scott's with me. Pity, as it was a sensational session. Was Bennie Maupin not in that band Bill? Yes, that's the version of the band I was thinking of. An excellent album, I imagine that band would have been exciting to hear. Absolutely incredible - one of the best gigs I've been to and I've been to a lot! Horace and Billy Cobham really had something going. The only other gig that came anywhere near it was sitting on the front row of the Free Trade Hall for a Basie concert shortly after they recorded The Atomic Mr Basie. My 19-year-old self was so knocked out that Frank Foster was laughing at me - the saxophone section was only a few feet away. See Bill Birch, p. 129 to 131. Too bad the pics did not include a view of the front row of the audience.